PHD provides access to transform 1960s London apartment block into new luxurious address. Presently the site consists of 74 apartments over 7 floors. Upon project completion this will have been remodelled into 36 luxurious apartments, a new build extension, penthouse suite, 24 hour concierge and a secure underground car park. 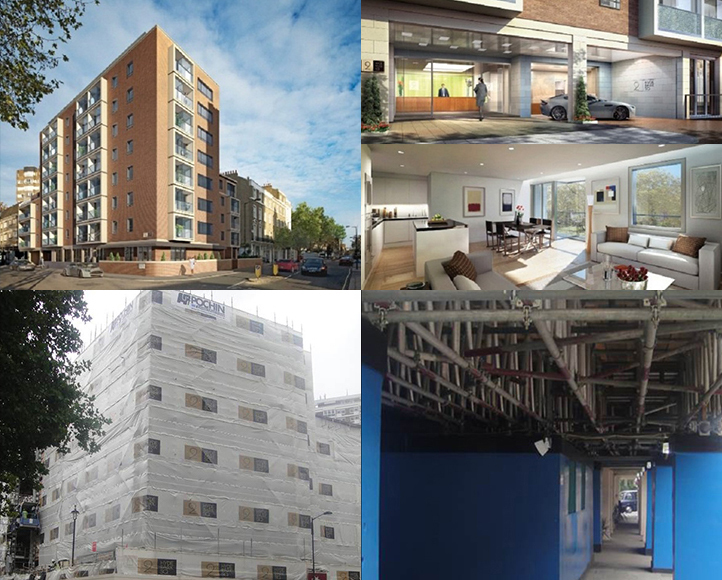 PHD are installing a system scaffold solution to enable the structural alterations to the basement,extensive external remodelling, full internal fit out, 3 storey extension, 8 floor add on and the creation of a new penthouse suite. PHD’s fully comprehensive access offering has provided the client with a one stop shop of traditional and mechanical services. To compliment the scaffold, we have installed a goods hoist and an additional gantry crane. The site is located in a very affluent location so the whole building has been wrapped in specially designed monarflex sheeting. This was designed by our retained artwork team to advertise the project, inform customers the restaurant is open for business as usual and improve site aesthetics.